The large size AWACS programme, different from an ongoing Embraer-based airborne early warning and control system (AEWCS), is being developed by the Defence Research and Development Organisation (DRDO) and will initially be for two aircrafts, an order that will be increased after successful development. Sources said that the strategic project is set to come up for discussion with Defence Minister Manohar Parrikar at a key meeting this week in which DRDO will make its case for allocation of funds to go ahead with ordering a platform and initiating work. The minister is also likely to discuss a partnership between France's MBDA and the DRDO to develop a new class of Short Range Surface to Air Missiles (SR-SAM) under the much delayed Maitri programme. The discussion will come days before Prime Minister Narendra Modi is visiting Paris where the estimated $4.8 bn programme is expected to be raised. The Maitri programme was first discussed as a government to government deal in 2007 but there has been little forward movement since 2013 when a Memorandum of Understating (MoU) was signed with DRDO. On the AWACS project, a call will have to be taken on the platform that will be chosen. While the smaller AEWCS is based on the Embraer aircraft, DRDO requires a larger wide bodied aircraft for the AWACS programme. Last month, sources said that Airbus Defence & Space appeared to have emerged as the sole bidder for a global tender put out by New Delhi's Defence Research and Development Organisation (DRDO) for an "AWACS India" programme. The tender – for six airborne early warning and control (AEW&C) system aircraft – was issued in March 2014. Airbus recently showcased a scale model of its A330 aircraft fitted with a radome during Aero India exhibition.. 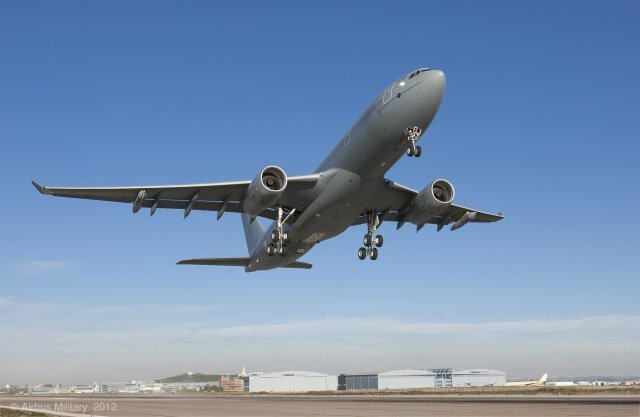 If a contract is signed for the A330 as the platform for the Indian AWACS effort, it will be the first instance of the type being used in the AEW&C role.